What's Halloween without decorating? We all know that decorating for Halloween begins outdoors, and the garden is no exception. Keep in mind, though, that when it comes to those scary Halloween gardens, you should probably design them in an inviting way, especially if you are expecting kids. Some people have a tendency to make their Halloween decorations a bit too frightening, which can scare away young trick-or-treaters (and maybe even squeamish adults). Others overdo their Halloween décor to the point of overkill, which results in a cluttered, unappealing mess. So what's the fix for this? Simple. 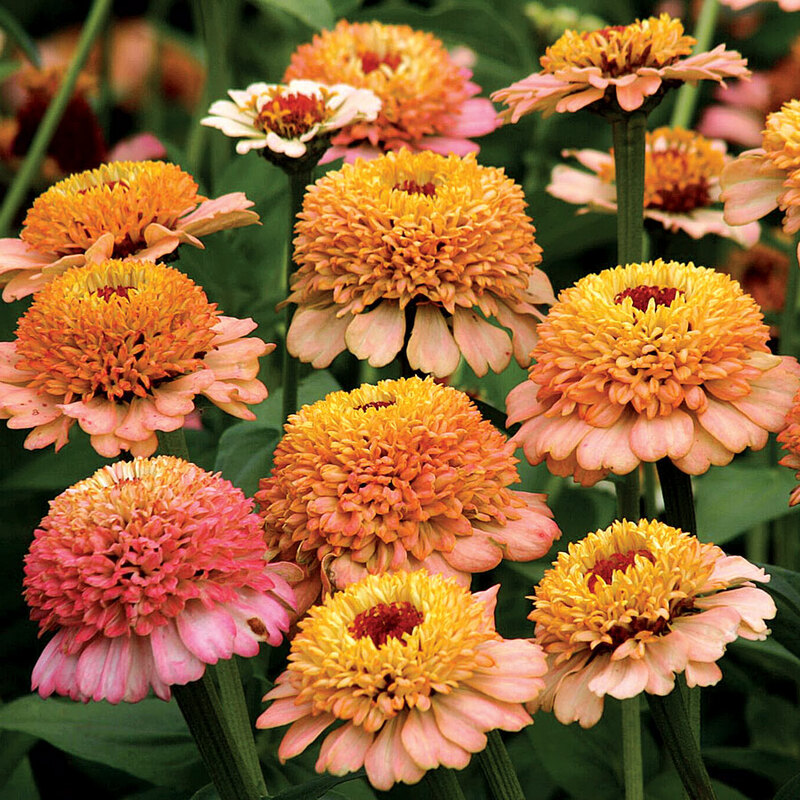 When scouring over Halloween garden ideas, use a theme. If you dare to go more in line with the creepiness of Halloween, then go ahead and choose scary Halloween gardens with themes like vampire bats, warty witches, scary ghosts and goblins. Just do so in a 'dressed down' sort of way – you know, without all the guts and gore. The possibilities for Halloween decorating in the garden are nearly endless. Use your imagination, and for even more fun, allow the kids to help come up with Halloween garden ideas. If you want something a little less ghoulish and a bit more festive, why not implement a harvest theme? And as far as gardens go, this is an easy thing to do. Simply set the mood with a few bales of hay in and around the garden beds — or even the front lawn. 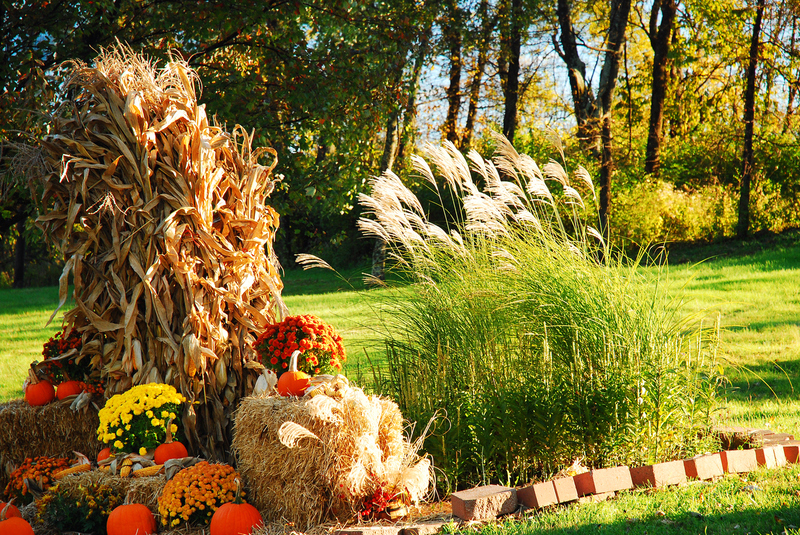 Then strategically arrange corn stalks around the hay bales, pulling it all together with festive-looking Indian corn, colorful ornamental gourds and various pumpkins. 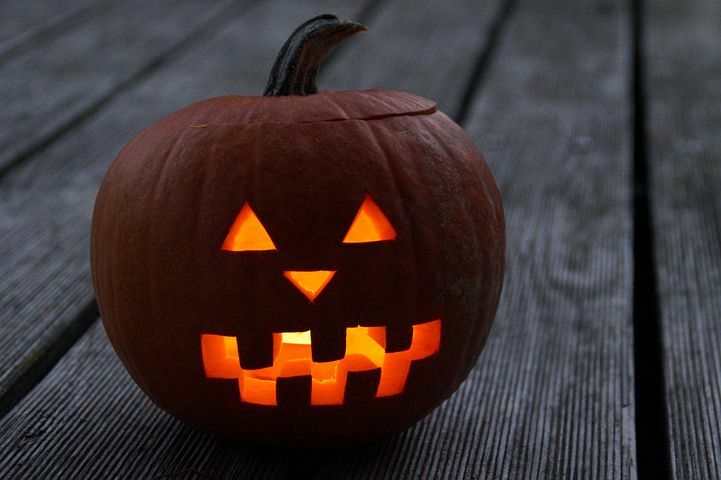 Don't forget to include a carved Jack-o'-lantern, friendly of course. For additional interest, hollow out a large pumpkin and transform it into a beautiful container for mums. Create the same inviting effect with an odd-shaped pumpkin placed on a turned-up crate or hay bale. Scatter some autumn leaves (which shouldn't be difficult to find), ornamental gourds and dried flowers around the pumpkin. You could even add a handsome scarecrow sitting next to it – these, by the way, are easy to make. And in keeping with the harvest theme, why not provide healthy apples in addition to candy for the trick-or-treaters. Find a bushel basket, wagon or similar device and fill it with apples. Place this next to your scarecrow, perhaps even in his lap, and allow the kids to treat themselves. Don't forget to add luminaries as part of your Halloween garden décor. You can place these throughout the garden and along the walkway, or basically anywhere you would like to draw attention. While you can purchase these, you may find it easier, if not cheaper, to create your own with hollowed-out gourds. Cut the bottoms out, carve faces in them and then place over a light source, such as a flashlight or small votive candle. You can also create wax-lined bag luminaries. Fold down the top of a brown paper lunch bag (about 2 inches). Draw faces or apples on the front of the bags and carefully cut them out. Place a piece of wax paper on the inside front (backside of cutout) with tape or glue. Use a small amount of sand in the bottom of the bag to help weigh it down and set votive candles or glow sticks (better choice) in the center. Another option for this theme is to core out large apples and place candles in them. If you have small trees in the yard, hang some small plastic pumpkins and apples from the branches. Remember, depending on the theme you choose, this could also include witches, black cats, spiders, etc. Halloween garden décor requires planning beforehand, but in order to make the best of your seasonal display, having a theme in place can go a long way. It will not only save you time and money, but will provide guests, trick-or-treaters, and passersby with an inviting environment they'll appreciate rather than run from. For more gardening ideas, visit gardeningknowhow.com.